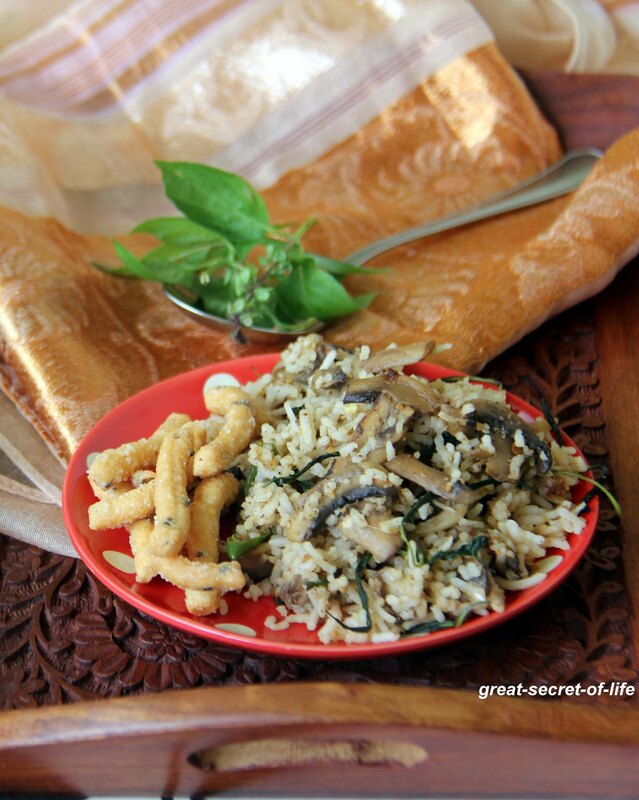 Who doesn't like simple, healthy, tasty lunch box recipe? My kids looks forward to Sunday lunch as I normally do one pot meal. 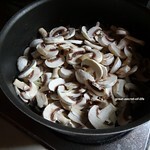 Before marriage mushroom is not common in fact till kids grow up I seldom had mushroom base dishes. Now days it became must at least once a week. 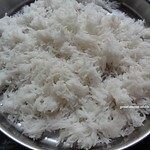 This is one of favourite vegetables for the kids. Heat the oil in the pan. 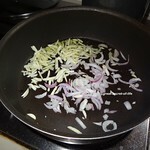 Add Onion and garlic. Fry till they are slight brown in color. 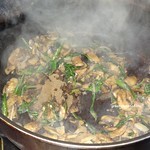 Add mushroom and green chillies. 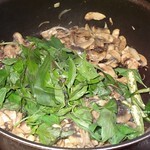 Fry till Mushroom is just cooked ( about 10 mins) Add basil leaves, salt. Fry till the leaves wilt. 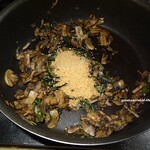 Add pepper powder, peanut powder. Mix well. 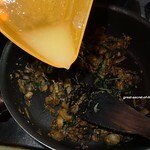 Add Lemon Juice and mix it. 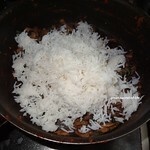 Add cooked rice. Mix well. Switch it off. new recipe for me..but it sounds great! 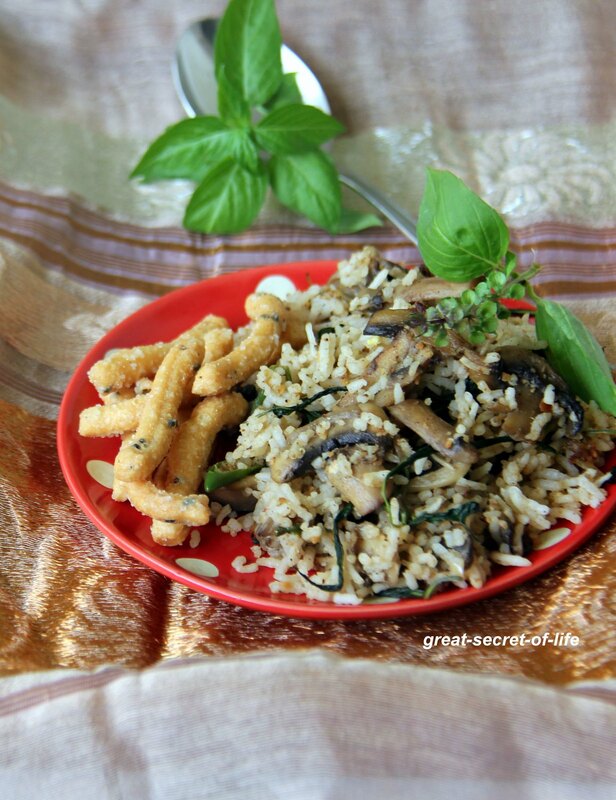 Delicious mushroom rice love it. sure basil added more flavor. 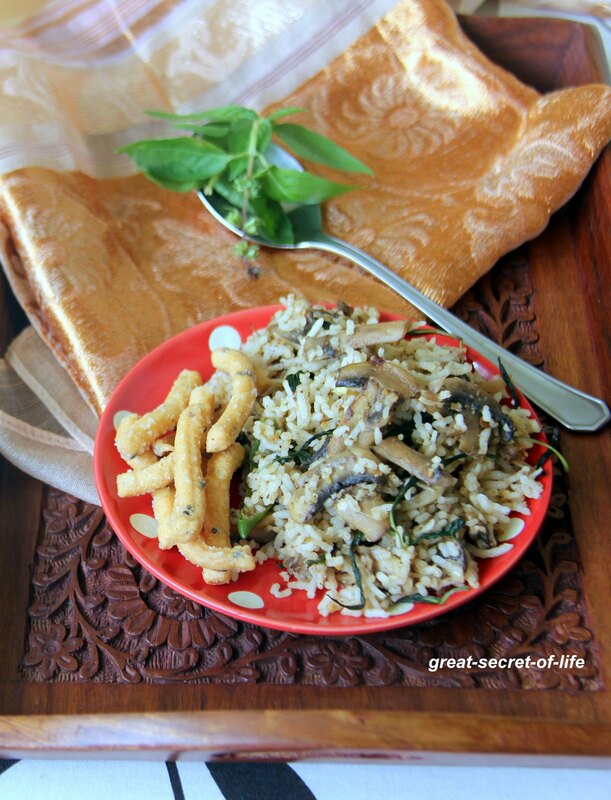 That's a flavorful and healthy one pot meal.. Perfect for lunch box..